Anyone wanting information about planning a family, class, military or fraternal reunion will have an opportunity next month. 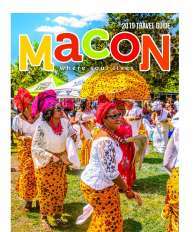 The Macon-Bibb County Convention & Visitors Bureau is holding a free reunion workshop 9 a.m.-11 a.m. Aug. 17 at the Macon Marriott City Center, according to a news release. The workshop will feature Jeff Mills, president of Mills Marketing Group, who will discuss reunion planning strategies. Attendees will learn how to map out a reunion plan, set up committees, promote the reunion, create a budget and locate vendors, the release stated. There also will be a vendor fair and discussions on how to use CVB services to plan a reunion gathering. For more information or to reserve your spot, email Kristen Simonton at ksimonton@maconga.org or call 743-1074, ext. 104.